H1B visa applications denied to Indian professionals between the 3rd and 4th quarter of FY 2017 rose by 42%. 48% of the L1B applications for Indians were denied in the 4th quarter of FY 2017. 80% of O1 visa applications by Indians were issued RFEs in the 4th quarter of FY 2017. The Trump administration in the USA has been consistent in its efforts towards tightening immigration. The recent changes introduced have not only made it more difficult to apply for a visa to the USA but have also resulted in an increase in the number of visa applications being denied. Read on to find out more. Immigration has been one of the focal areas of the Trump administration. As a result of the many new policies put in place, a significant increase has been noted in the number of H-1B denials and Requests for Evidence (RFEs). According to a report by the National Foundation for American Policy, the number of H1B applications denials has increased by 41% between the 3rd and 4th quarter of FY 2017. The denial rate in the 3rd quarter was 15.9% while in the 4th quarter, it rose to 22.4%. The total number of RFEs filed in the 4th quarter was almost equal to the number of RFEs filed during the rest of the year. This data goes to prove how the USA is limiting admission of highly skilled migrants to the country. A Request for Evidence is called for when the visa processing officer requires additional information to decide the fate of an H1B application. Failing to comply with the request can result in the application being denied. 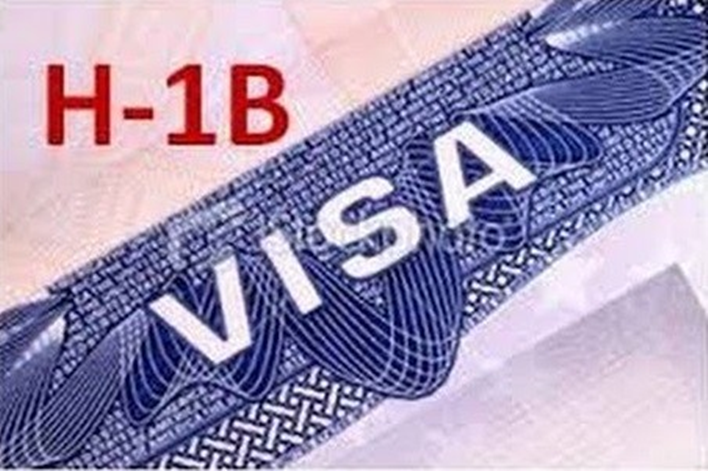 The H1B visa is one of the most popular visa categories for Indians migrating to the USA. This visa allows the applicant to live and work in the USA. It is also known as a dual intent visa as it allows the applicant to apply for a Green Card. H1B applications denied with respect to Indians increased from 16.6% in the 3rd quarter to 23.6% in the 4th quarter. This marks an increase of 42% increase in the proportion of H-1B applications denied to Indian professionals between the 3rd and 4th quarter of FY 2017. In comparison, the percentage of H1B petitions denied to citizens of other countries rose by 40% from the 3rd to the 4th quarter of FY 2017. 72% of H1B applications filed by Indians received RFEs in the 4th quarter while in the 3rd quarter, only 24.2% of H1B visa applications filed by Indians received RFEs. An analysis of data from over the past few years shows that USCIS officials are more likely to issue RFEs for visa applications by Indians as compared to citizens from other countries. The L1B visa is used by companies to transfer employees from any part of the world to the USA when opening a new branch, office or subsidiary. The denial rate for L1B visa applications increased from 21.7% in the 1st quarter to 28.7% in the 4th quarter of FY 2017. 48% of the L1B applications to transfer Indian employees to the USA were denied in the 4th quarter of FY 2017. The L1B visa allows companies to transfer executives and managers to the USA. The denial rate of L1A visas increased from 12.8% to 21.4% from the 1st quarter to the 4th quarter of FY 2017. With respect to Indians, the denial rate in the 1st quarter was 9.5% and in the 4th quarter was 16.4%. Individuals who possess “extraordinary ability in the sciences, arts, education, business, or athletics” are eligible for the O1 visa. By the 4th quarter of 2017, almost 80% of O1 visa applications by Indians were issued RFEs.